Trump’s campaign against Clinton is an exercise in projection. “Unstable,” “bigoted,” “grifter.” The truest descriptions of Trump are his descriptions of Hillary. 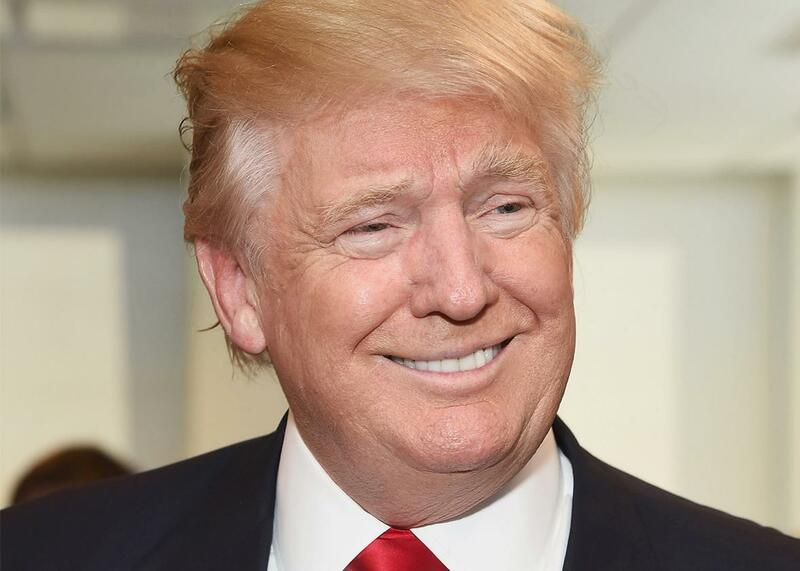 Presidential candidate and gifted projector Donald Trump in New York City on Monday. Trump isn’t making an argument about his opponent; he’s projecting, and in the race against Clinton, it is a defining aspect of Donald Trump’s rhetoric. Rather than challenge the Democratic presidential nominee on substance, Trump takes an approach familiar to anyone who has spent time on an elementary school playground. I know you are, but what am I? As with most Trump rhetoric, this is worth a fact-check. Few politicians are completely honest, but compared with her peers, Clinton is less likely to make false statements, as judged by Politifact. And to that point, the FBI investigation of Clinton’s private server—as well as documentary evidence such as the correspondence between Clinton and Powell—supports the Democratic nominee’s version of events. Trump, put simply, is wrong. But that’s not the projection. The projection is the claim that, with Bill and Hillary Clinton, “Everything is a scam, like grifters.” At present, at least three of Trump’s endeavors are under investigation or serious scrutiny—Trump University, Trump Institute, and the Trump Foundation. All of them have the makings of scams, from dishonest business practices to the use of ostensibly charitable dollars for personal expenses. And this doesn’t include Trump’s real estate career, rife with stories of exploitation, wage theft, and borderline fraud. Keep in mind that this comes from a candidate who began his campaigns suggesting that some number of Mexican immigrants were “rapists,” whose signature policies are a wall on the Mexican border and a ban on Muslim immigration, and whose “outreach” to black voters involves grossly exaggerated depictions of black life that rely on racist tropes about black criminality. Our vision of hope stands in stark contrast to my opponent’s campaign of hate. Hillary Clinton has been running a hate-filled and negative campaign, with no policy, no solutions and no new ideas. By contrast, I’ve been going around the country offering very detailed plans for reform and change. All of these reform plans are available on our website, and they’re extensive, but we have no choice. This is almost unbelievable. In his acceptance address to the Republican National Convention and in his recent speech to supporters in Phoenix, Trump painted a dark, dystopian picture of an America rendered prostrate by crime, violence, and disorder. In Trump’s America, “illegal immigrants” roam streets, killing innocents and destroying families. His is a country where all leaders are corrupt, all institutions are rigged, and he is the only savior. “Hate-filled and negative” is a straightforward description of Trump’s campaign, and it was especially apt in Asheville, where a Trump supporter attacked a protester. Likewise, the Trump campaign is notable for its indifference to public policy. Trump has little grasp of basic details and is unable to articulate—in any detail—his plans for anything on his agenda. Clinton, by contrast, has released a 300-page book dedicated to her policy agenda. Overall, according to the Associated Press, Trump’s campaign has released around 9,000 words in policy papers, compared with more than 112,000 from Clinton’s campaign. This projection is such a regular part of Trump’s message that it begins to feel like strategy, as if Trump and his team aren’t running a campaign for the presidency so much as gaslighting the country. And there’s no sign he plans to stop.